A few weeks ago I did a video demonstrating one of my favorite tools ever….The Perfect Ruler. 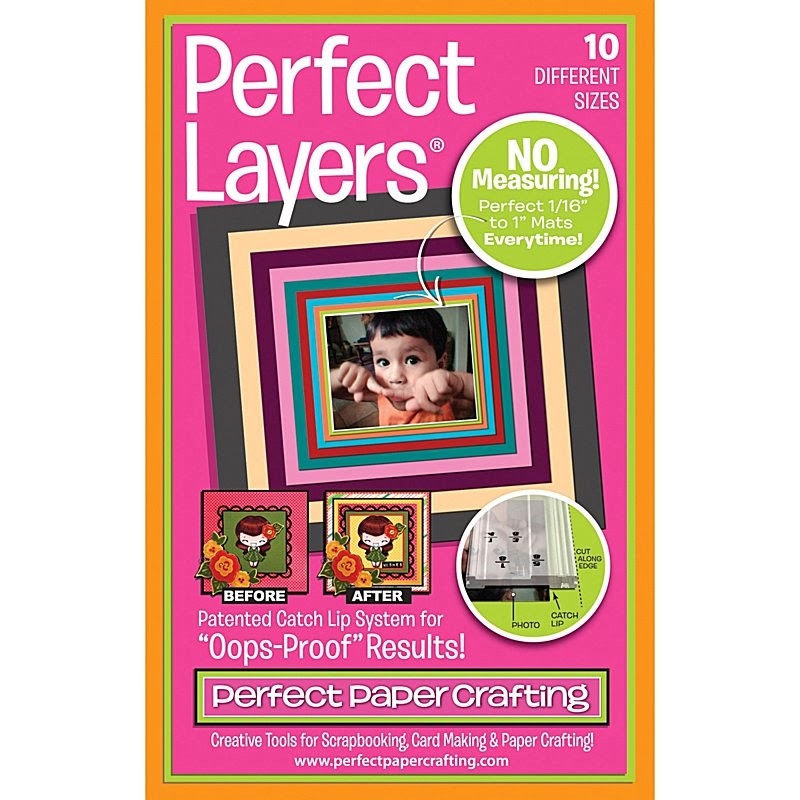 After posting my video I was contacted by Perfect Paper Crafting asking if I wanted to try their Perfect Layers and I said yes! After giving them a try, I knew I had to do a video to share with all of you! I know Perfect Layers have been around for a while, but I never got around to trying them. I loved this product and wish that I had purchased it years ago. The set of three tools sells for $27.99 or you can order them separately for $12.99 each from perfectpapercrafting.com. I've had these for years and somehow they got stashed away. I loved them back then, and need to get them back out. Thanks for the reminder and the video. I've had these for years and use them ALL the time. In fact, I bought an extra set "just in case". These are my must haves when it comes to matting. You cannot make a mistake with them! Scrappers out there....if you haven't tried them, you must. You will not be disappointed. I have had mine for several years. I have #1 & #2 and I don't remember that there was a 3rd one. They have been used quite often over the years. Quick & easy to use. These are new to me and I was looking at them on the website when you did your video on them a few weeks ago. I just ordered the new mini set for cardmaking. Thanks for sharing! I purchased these from QVC as a set years ago and use them frequently. Love this tool - thanks for giving it a new buzz! New to me. Thanks for the video.